This blog is to share my passion for the Horror genre. Medical students bring themselves near death; their experiment begins to go awry. 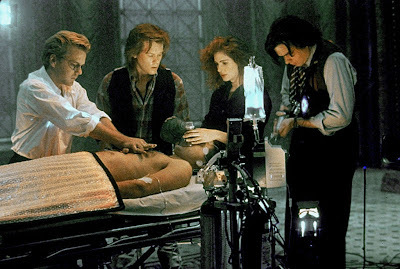 The 90's is looked as a black cloud over the horror genre, slashers turned in-to thrillers and gore became intelligence. No longer was it a case of slash and laugh it became more about using your brain and being challenged. 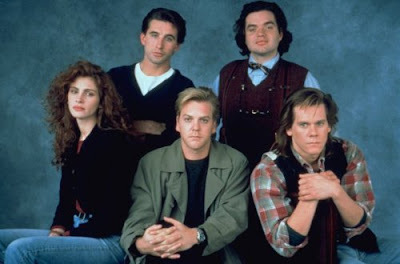 Now I'm not saying they were all brilliant but one of the best was "Flatliners". 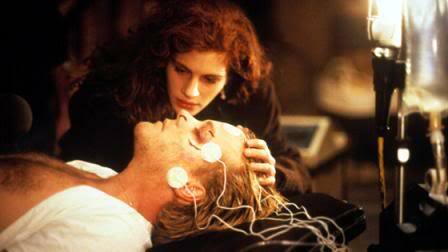 This was a film I delayed watching for a very long time and it was for a pretty shallow reason, that reason was Julia Roberts. Now I know that's a pretty bad reason to not watch a film but when you've grown up with having to sit through her romantic dramas due to female relatives, for many years, it's easy to have such a reason. The film is more on the thriller side with segments of horror and sci-fi thrown in for good measure, the mixture works very well and gives you a twisted but tense storyline. The way it was filmed is fantastic, it's mostly very murky lighting and great scenery really help set the films tone. The cast is very strong, you've got Keifer Sutherland who puts in one heck of a performance and also Kevin Bacon who I've always thought never gets the recognition he deserves and this film showcases his huge acting talent. Also in the cast is William Baldwin and Oliver Platt who are quite a surprise as they do a decent job but you don't think you'd see them in a film of this mature. Now as much as it pains me to say it, Julia Roberts did an amazing performance in the film, equally on par with Sutherland and Bacon. Why she didn't carry on doing these type of films dumbfounds me because she seemed to grasp the role and she certainly won me over. I'd love to have seen her do more films like this, what a waste. 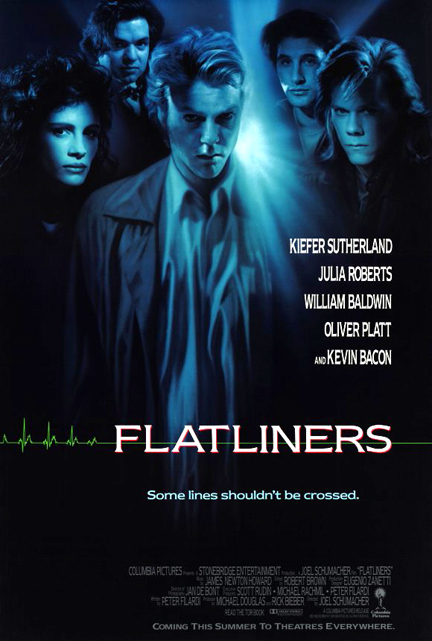 "Flatliners" is not a film you can just stick on for background entertainment, it's a film that needs to be paid attention to. Honestly it's a film that deserves your attention and I never thought I'd say that about a film starring Julia Roberts! RMM 2011+. Awesome Inc. theme. Powered by Blogger.